iWindsurf Community :: View topic - Photos yesterday: Hatchery gets HOT! Posted: Fri Aug 17, 2018 11:51 am Post subject: Photos yesterday: Hatchery gets HOT! It sure has not been a great Gorge season except for May. But yesterday, after weeks of smoke in the hot air, we had smoke on the water and hot action. 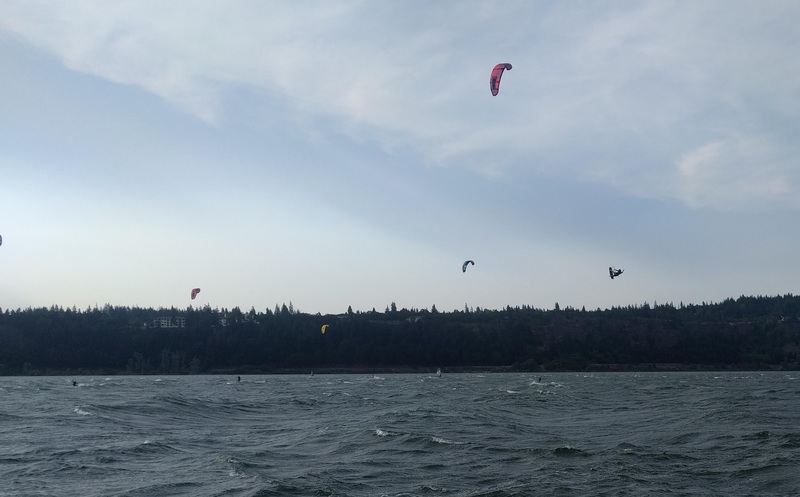 Dawn patrol entertainment this morning was provided by 5 excellent kiters who came to the Hatchery from Hood River. As the wind picked up and windsurfers started heading out at 9:00 they headed back.